Since late January 2011 yesterday, a visit to other of my website drop drastically. In addition to its existing solution and infrequently updated blog, one of the main causes is because of my blog from Google’s penalties in the form of the Google Sandbox. Website or blog that is entered into the Google Sandbox can be detected by looking at the amount of traffic requests, view the source of the visit and check on certain keywords on Google. When my blog into Google Sandbox, the amount of traffic that visit over 500 unique visitors usually drop to below 200. Source of visit which is usually dominated by Google to be very little or not at all. Usually Google is the biggest contributor to traffic from search engines to my blog. Range to reach 80% or more of the total traffic originating from search engines. When exposed to the Google Sandbox, sending the largest traffic are Yahoo and several other search engines, and even then less than half the total shipment Google earlier. The third thing is the position of your website/blog in the SERP (Search Engine Result Page). Many of my articles disappeared from Google’s search pages, but usually there at the top or at least on the first page of search results. 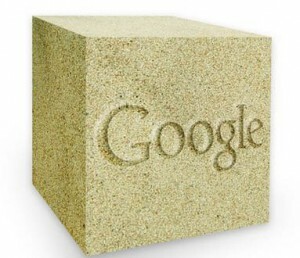 When exposed to the Google Sandbox, a link to my blog article disappeared. If anything, whether it is on the page number. This is the cause of traffic requests drops drastically. Website/blog contains a Trojan/virus. Blog affected by the Trojan will usually enter into the category: “This site is dangerous for your computer.” In addition to lowering the credibility and integrity, the user will most likely be canceled because it served to open the website page illustrated in black with red insect with a word of warning. If exposed to Trojan/blog, immediately clean without a long wait:-P.
Provide Paid Review. Google hate paid reviews service because the content of the blog usually become less neutral. I had tried the service several times and then stops. Not for fear of being penalized by Google but because not enough time to make a review on schedule :-). Paid review can reduce the credibility of a website / blog in the eyes of Google. In addition because not enough time, paid review nor do I put on this blog because of Google’s Sandbox. If still I let it, Google may not only eliminate the index but at the same time specify a website. Banned websites is a very severe punishment because our website is no longer indexed by Google. Duplicate Content. Many bloggers are using a blog service in various places. Due to lazy to write and update regularly, the tendency is to do copy-paste the contents of raw posting to other blogs. If left unchecked, this will make these blogs are detected as a plagiarist and duplicate content penalties.